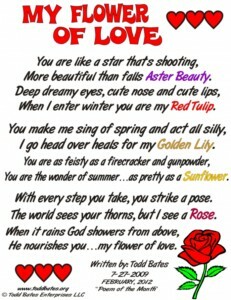 Have a wonderful day and I hope you enjoy this month’s poem “My Flower of Love.” Don’t forget to leave a comment! I appreciate your feedback! More beautiful than falls Aster Beauty. When I enter winter you are my Red Tulip. I go head over heals for my Golden Lily. You are the wonder of summer…as pretty as a Sunflower. With every step you take, you strike a pose. The world sees your thorns, but I see a Rose. 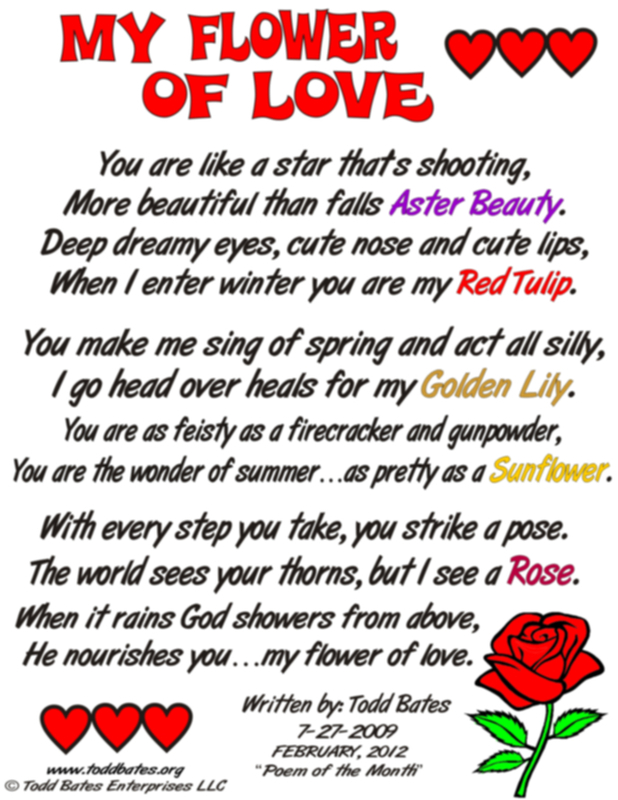 He nourishes you…my flower of love.